Beginning the first weekend in July, Whistler’s Creekside Market will have all varieties of PÉCHE MIGNON shortbread on the shelves. 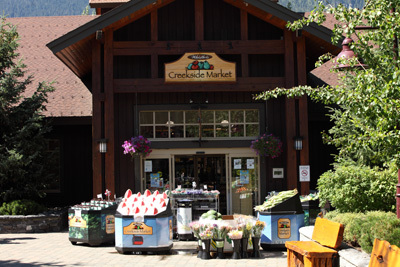 Creekside Market is a full service grocery store that is located in the Creekside area of the Whistler resort. The large retail store supplies the freshest produce, fine meats, seafood, locally baked goods, artisan breads, deli foods and much more for Whistler locals and international visitors to the resort during all seasons. Creekside Market also takes orders online and delivery options are available. We are delighted to be available in Whistler for the first time.